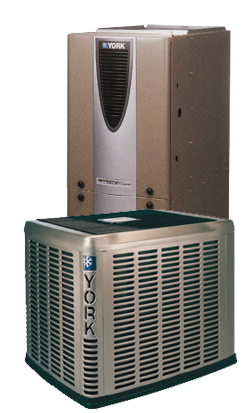 Your Heat and Air Guy LLC offers the broadest array of air conditioning in FORT MADISON, IA. Air conditioning adds a whole new element to your comfort during those hot summer days. Today's air conditioners are more comfortable and efficient than ever. We can get you up and running with air conditioning right away. The compressor in your outdoor unit changes the refrigerant (or "Freon") into a high temperature, high pressure gas. As that gas flows through the outdoor coil, it loses heat and condenses into a high temperature, high pressure liquid. This liquid refrigerant travels through copper tubing into the evaporator coil. There the refrigerant expands. Its sudden expansion turns the refrigerant into a low temperature, low pressure gas. This gas then absorbs heat from the air circulating in the duct work. The cooled air is then distributed back through your house or place of business. Meanwhile, the heat absorbed by the refrigerant is carried back outside through copper tubing and released into the outside air. Click on logos above to view residential air conditioner lines.